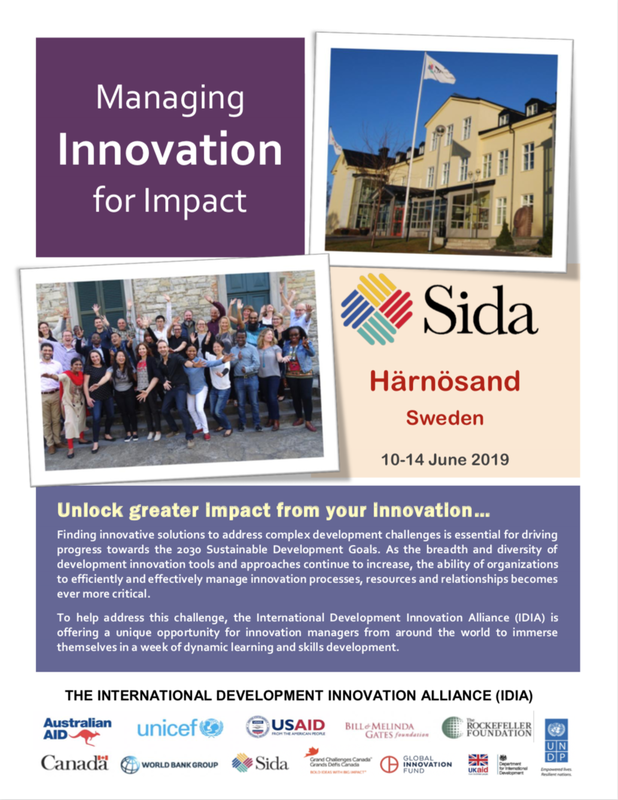 We are delighted to announce that the 2019 iteration of IDIA’s training on “Managing Innovation for Impact” will be hosted by the Swedish International Development Cooperation Agency (Sida) at their retreat centre in Härnösand, Sweden, from 10-14 June 2019. For more information and details on how to apply, see below. The application window for the 2019 training opens on 1 February 2019 and closes at 12.00 midday EST on 1 March 2019. Applicants will need to submit their application using the online form accessible through the link below. To help potential participants in their application, we have compiled a list of Frequently Asked Questions with more detail on applicant eligibility, travel and logistics (accessible through the link below). For any other questions, we encourage you to contact the Training Administration team by email at IDIAtraining@r4d.org.